With New Years approaching, it seems like the best time to cover how best to prepare your skin for special events. Gatherings of varying degrees of importance are important at this time of year. Many people choose to arrange special events and gatherings to bring people together in celebration. You probably want to look your best for these events if any lasting record is going to be kept of the event. OROGOLD has a few ideas on how you can best prepare for this special events without the tips being specific to a single kind of event. These tips are even usable far beyond this small stretch of time and you can use the information you get now to know how to be prepared any time of year. One of the biggest things you might choose to do before a special event is to seek out supervised skin treatments. Deep peel and microdermabrasion treatments care capable of doing wonders for your skin. Celebrities and other well-to-do people often utilize one kind of treatment or another when preparing to look their best for a big event. 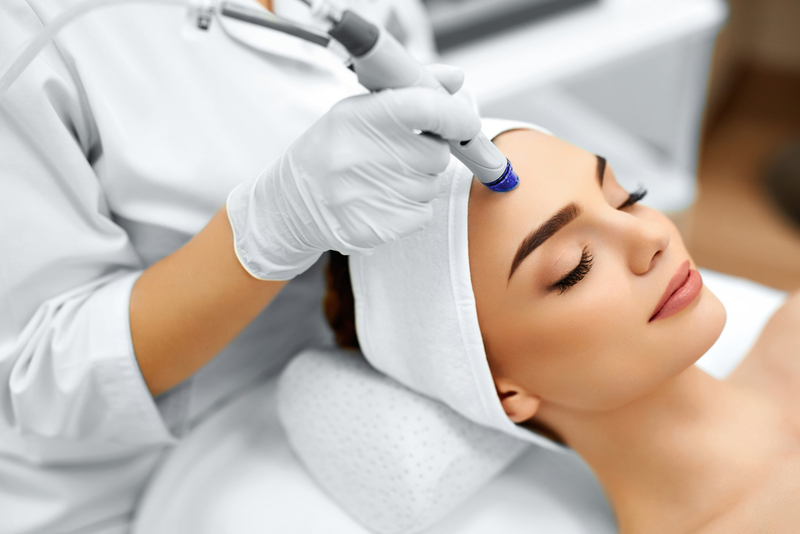 Much of the time they favor microdermabrasion as these treatments are easily usable with a couple of days of an event as opposed to deep peels that require a recovery time of several days. Each one offers deep exfoliation capable of reducing fine lines, wrinkles, and skin discolorations. Deep peels are the longer lasting option and often fortify the skin as they are used as well. Either one of these treatments can benefit your skin greatly if you have the time before a special event to utilize them. OROGOLD has technically touched on this topic in more detail when we discussed wearing fancier makeup than usual, but we’ll briefly cover this topic here as well. One of the things to remember is that special occasions generally mean you’ll be wearing makeup as well. The best thing you can do is properly prepare your skin to wear makeup. Cleanse and exfoliate with the best products that you have available and remember that you’ll be wearing that makeup until the end of the event most likely. Avoid using acidic or alcohol-based cleaners if you can to prevent drying out your skin. Makeup can lead to breakouts and drying you skin out makes it readily produce more oils to protect your skin. Trapping extra oil beneath your makeup creates a very good environment for acne bacteria. We recommend ensuring that you moisture appropriately after cleansing and exfoliation as well. This will not only help mitigate issues with dry skin, but provides a small barrier between your skin and the makeup that can make it easier to remove. One of the bigger trends we expect to see more of in 2016 is hybrid products combining skin care properties with makeup. You may wish to consider looking for products like this for special events. As we’ve highlighted, wearing makeup for a lengthy period, especially heavily makeup than usual, can cause skin issues to flare up. Moisturizing and skin fortifying makeup may be your best friends when it comes to avoiding this. A face primer is useful for later removing makeup, but it doesn’t entirely help offset issues like some of these hybrid products. You don’t have to use them if you don’t want to though. Instead, moisturize, prime, and then determine how much makeup you really need relative to the length of the event. You can get away with a bit more if it is going to be cold, but you probably want to avoid truly heavy makeup if where you’ll be is going to be excessively warm. Ensuring your skin is prepared for a special event is largely about picking the right products and maintaining good habits. Adding one extra supervised treatment is just a good way to give your skin a boost if you’re feeling less than confident. OROGOLD hopes this gives you a clearer idea on how best to ensure your skin is ready for any of the myriad of parties and social obligations that are going to appear over the last days of the year. All else failing, you’ll certainly know how to be ready when the first gathering of summer start appearing.